This entry was posted on Thursday, November 20th, 2014 at 4:37 PM	and posted in 120 Film, 135 Film (35mm). You can follow any responses to this entry through the RSS 2.0 feed. I will be using a Holga 120N Camera with some expired Neopan Professional 400 film. Mamiya RB67 Pro S or Bronica SQ-B with Fuji Reala or X-Pro expired Kodak E100SW. Perhaps a 120/620 Kodak Folder. Could be some kind of chrome, or Tri X. What a great solution to shoot some tri-X with my Pentacon 6 and its Mir 38b (65mm f3.5) !! I’ll use the adapters with some almost expired Walgreens C-41 200 ISO film on a Yashicamat 124G TLR for some vertical shots. A Rollei SL66 with some old Kodak Ultra. I have a 120 Debonair from FPP, a Flyer Pinhole from PinholePrinted, and a Rolleicord. 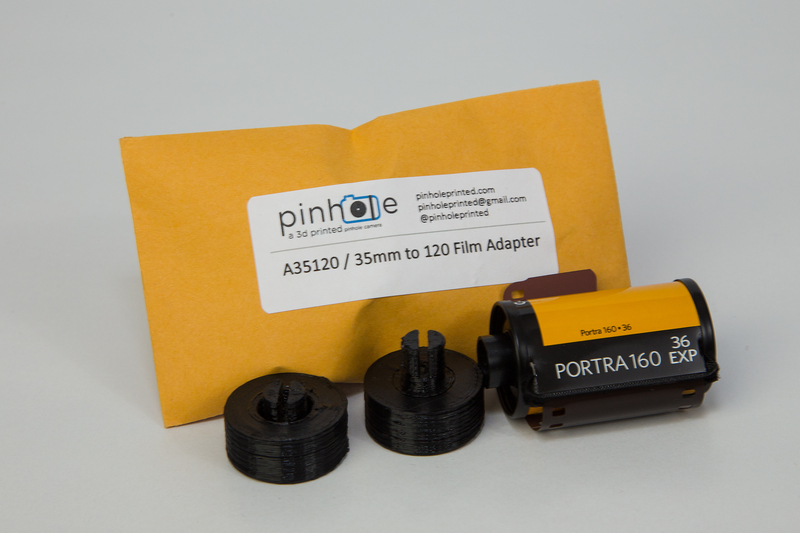 So, I will use this adapter in one of those cameras anytime I want to shoot sprockets. I still have some expired Kodak Gold 400 Films that I will use with this adapter. I’m also interested in shooting some B/W, maybe I’ll try Kodak T-Max 400. Hey, I just stumbled on your post about the Debonair. I’ll have to check out the rest of your site. I’ve been a FPP listener for a few years. I’ve planning to get a Debonair for a Christmas present (for myself), so if I win the adapter, I’ll probably use it in that, or maybe my garage sale Zeiss Ikon. Using Random.org, I generated a random number between 1 and 10, and the number is 3. Comment number three was left by JC on November 20th. Thanks everyone for leaving a comment!